After the International Olympic Committee has suspended the Russian Olympic Committee due to doping allegations, it was announced that clean Russian athletes would be invited to compete as Olympic Athletes of Russia under a neutral flag at the 2018 Olympic Winter Games. An OAR Invitation Review Panel determined the pool of Russian athletes who have fulfilled the pre-games testing requirements and could be invited according to several criteria available to the panel. The original number of 500 athletes has been reduced by 111 by the panel last week. From this list three goaltenders, eight defencemen and 14 forwards have been chosen to play as Olympic Athletes of Russian in the 2018 Olympic men’s ice hockey tournament by the Ice Hockey Federation of Russia. The invitations to all athletes will be formally issued at the OAR Delegation Registration Meeting on 27 January in PyeongChang. No roster has been announced yet for the Olympic Athletes of Russia women’s ice hockey team. The men’s team has a slightly younger roster than in the past with an average age of 27 years and will include a couple of new players. For Mikhail Grigorenko, Ilya Kablukov, Kirill Kaprizov, Dinar Khafizullin and Nikolai Prokhorkin it will be the first top-level tournament in senior international ice hockey as unlike the others they haven’t played at the IIHF Ice Hockey World Championship or the World Cup of Hockey with the men’s national team before. Three players from the team were on the roster in Sochi 2014 including Pavel Datsyuk, Ilya Kovalchuk and Vyacheslav Voinov. For Datsyuk and Kovalchuk it will be the fifth Olympic Winter Games participation and joining an exclusive club. Only two players – Finns Raimo Helminen and Teemu Selanne – played more, in six Olympics. 39-year-old Datsyuk is the oldest player on the roster and 20-year-old Kaprizov the youngest. 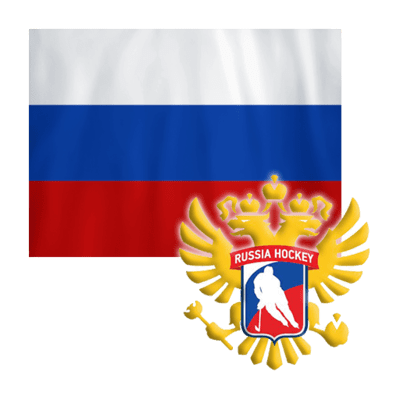 All 25 players nominated play for Russian clubs in the Kontinental Hockey League. More surprisingly, the selected players represent just three clubs. 15 players are under contract with Russian champion and league leader SKA St. Petersburg, eight players join from second-placed CSKA Moscow and two from Metallurg Magnitogorsk. The team coached by Oleg Znarok is seeded in Group B together with the United States, Slovakia and Slovenia. An OAR Invitation Review Panel determined the pool of Russian athletes who have fulfilled the pre-games testing requirements and could be invited according to several criteria available to the panel. The original number of 500 athletes has been reduced by 111 by the panel last week. Not invited were athletes who the IOC suspended as part of the as part of Oswald Commission findings (see press releases from 12 December and 22 December). From this list three goaltenders, eight defenders and 12 forwards have been chosen to play as Olympic Athletes of Russia in the 2018 Olympic women’s ice hockey tournament by the Ice Hockey Federation of Russia. The invitations to all athletes will be formally issued at the OAR Delegation Registration Meeting on 27 January in PyeongChang. With several players retired or not on the list of eligible athletes, this Olympic Athletes of Russia team will be one of the new generation. With an average age of 22 it will likely be the youngest team in the tournament. Only six players were part of the team in Sochi 2014 including Yelena Dergachyova, Angelina Goncharenko, Anna Shokhina, Yekaterina Smolina, Olga Sosina and Svetlana Tkachyova. Although just 25, Sosina is one of the most experienced players having played both in Vancouver 2010, Sochi 2014 and in eight Women’s World Championships. 29-year-old Smolina has the same number of tournaments but had her two Olympic experiences in Turin 2006 and Sochi 2014. Also 33-year-old defender Skachyova, the oldest nominated player, would play her third Olympics after Vancouver 2010 and Sochi 2014. At the other end of the scale 11 players are 20 years old or younger. Three were born in 1999, three in 1998 and five in 1997. 17 players would play their first Olympic Winter Games and five players have never played at a top-level championship with the women’s national team: Anastasia Chistyakova, Diana Kanayeva, Viktoria Kulishova, Alyona Starovoytova and Valeria Tarakanova. 16 of the 23 players were on the roster of the 2017 IIHF Ice Hockey Women’s World Championship last spring.